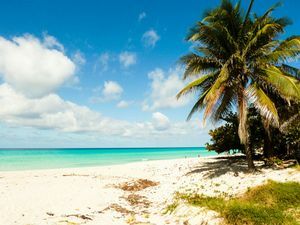 Cayo Largo del Sur Cay, also known as Cayo Largo is one of the most attractive tourist destination on the eastern side of the Archipiélago de los Canarreos (Canarreos Archipelago), Isla de la Juventud, Cuba. 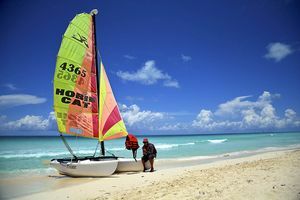 Bathed by Caribbean waters, it is the perfect place for you if you’re looking for paradise beaches with fine white sands, countless coral reefs, spectacular resorts, and tourists from all over the world. 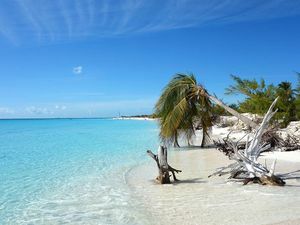 Cayo Largo Cay gets its curious name from its large size, and the first references to it appear in 17th century reports from Captain Generals on the island. However, it has been shown that the first to discover this area were pre-Columbian aboriginals from the 14th and 15th century. What’s more, due to its good strategical position, this island possesses a certain historical attraction, having been the passageway for the most famous pirates and corsairs across the seas, including Christopher Columbus during his journey to the island of San Juan. As such, until the island’s touristic development in 1980, there had never been a permanent settlement here, although today it contains certain interests that will make your stay here a unique experience. If this marvellous island stands out amongst others for any reason, it’s for its incomparable natural characteristics, including many untouched zones that will make themselves known with each step you take. 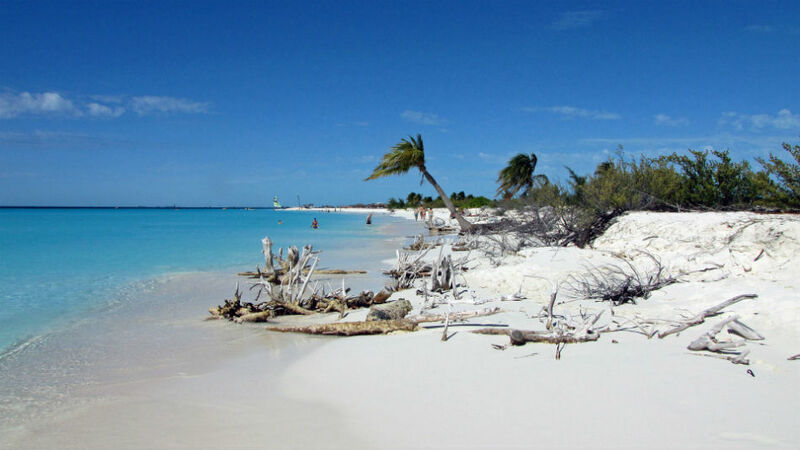 You will appreciate its very natural side in its virgin beaches such as Playa Los Cocos, Playa Luna, Playa Blanca, Playa Tortuga (Turtle Beach) or Playa Punta Mal Tiempo. So, if you’re a nature lover, you’ll be in awe before the area’s most renowned animal species. 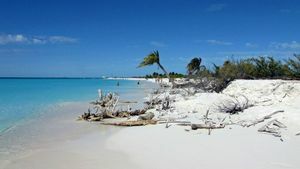 Cayo Largo is full of stunning species of iguana and is the ideal place to take a step back and admire how hundreds of turtles lay their eggs on the warm sand or even live your dream of swimming with dolphins. 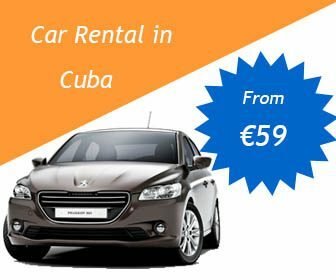 On the other hand, if you’d prefer to enjoy the height of luxury on your holiday get to the two starfish beaches, none other than the Playa Paraíso and Playa Sirena, and you’ll be presented with the ideal image of Cuba that you’ve been hoping to find. 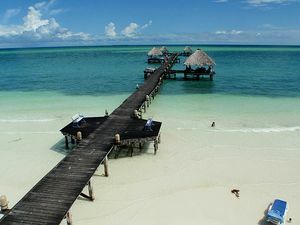 If water sports interest you, you’ll achieve utter bliss diving into the spectacular coral formations and amazing tropical fish that live in the waters. 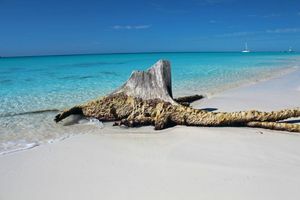 Or even if naturism is your thing, Cayo Largo is the place for you, given that in recent years it has become one of the places most appreciated by naturism’s devotees, who live in perfect harmony with other visitors. 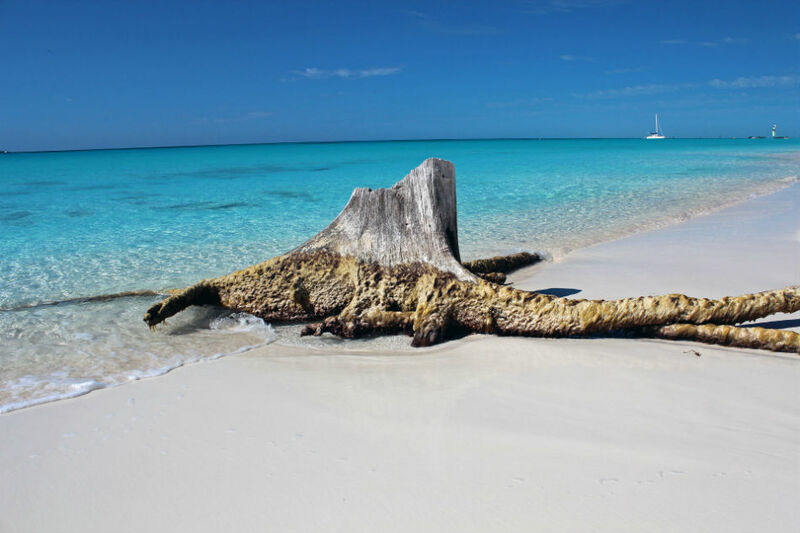 To get to and spend the day in Cayo Largo you can go from Havana and other nearby cities, although most visitors normally spend one or two weeks in one of its fantastic resorts to enjoy the peace offered by the island. 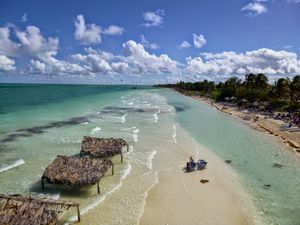 You can choose to go by air, arriving in the Vilo Acuña International Airport, or by sea, arriving at Puerto La Marina Cayo Largo del Sur, in order to reach this little slice of paradise. Isla de la Juventud, Cuba.